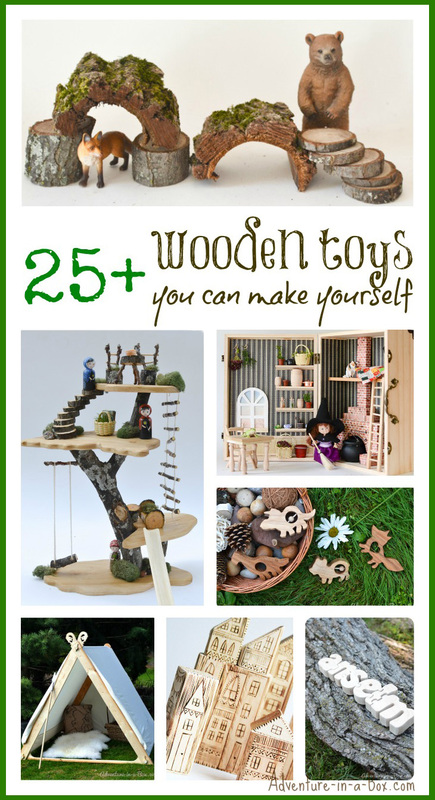 Are you thinking of giving a special gift to your kid and making a personalized wooden toy? 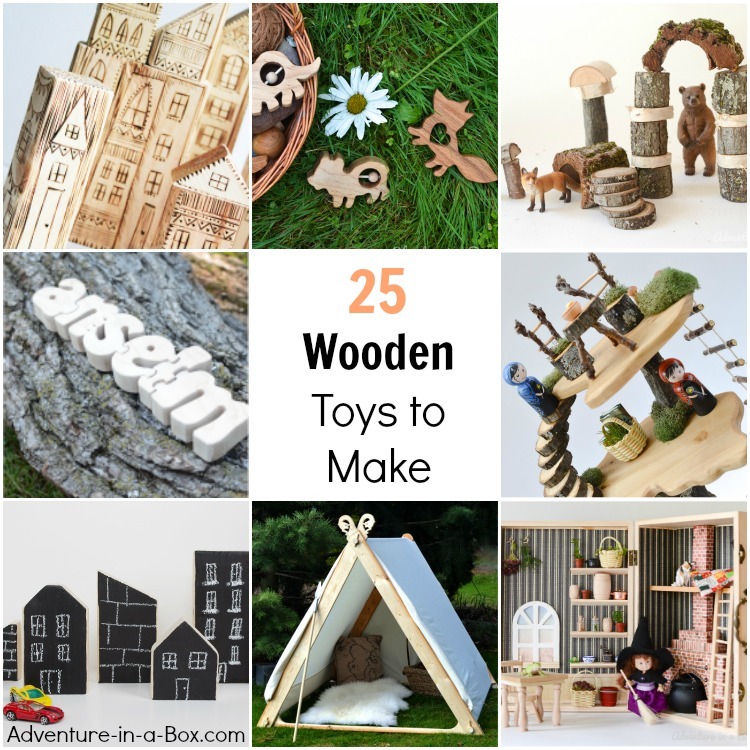 Here is the list of our favourite DIY wooden toy projects! I have always enjoyed working with wood, and my partiality grew when Budster was born. Like many parents, I was concerned for his safety and well-being, and wood seemed like one trustworthy material amid many unknowns. 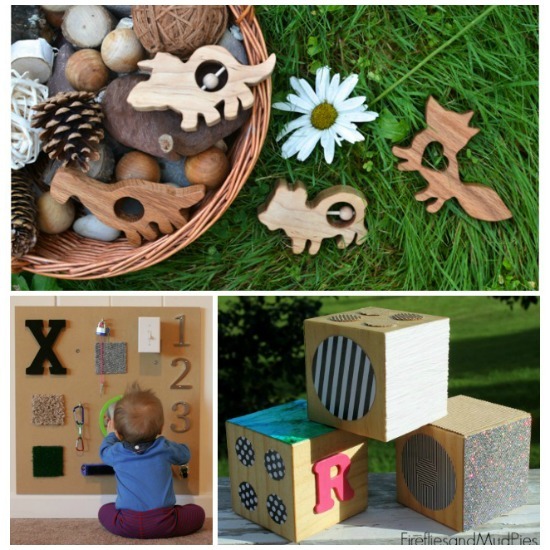 Wooden toys are sturdy, are free of artificial chemicals, and have certain antibacterial properties. We are not following any particular educational philosophy in our house, but I have always been interested in reading about different alternative approaches, and it is worth mentioning that wood has its place in many of them. Montessori, Waldorf and Reggio Emilia schools all acknowledge wooden toys for their natural aesthetic value. I find wood very beautiful and pleasant to play with! Despite my admiration for wooden toys, I seldom buy any. Why? 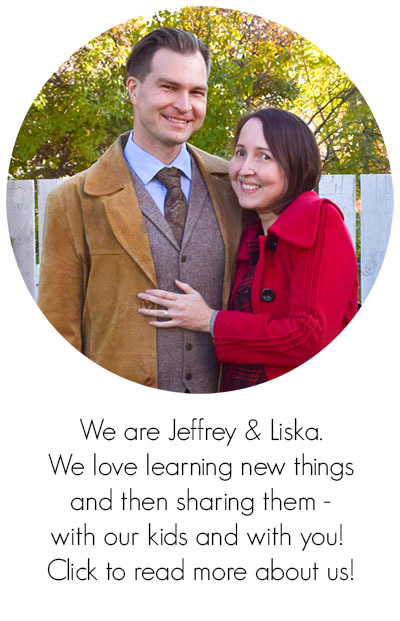 The process of making them is a lot of fun, and invites personalization. Besides, wooden toys are often more expensive than their plastic alternatives, so getting a few handy tools can save parents some money. Here is the list of my favourite projects. Some of them, like the ones involving wooden blocks, are very simple and do not require the use of any tools, and some, like full-sized dollhouses, will take a few evenings to finish, but will leave you with an heirloom-quality gift. 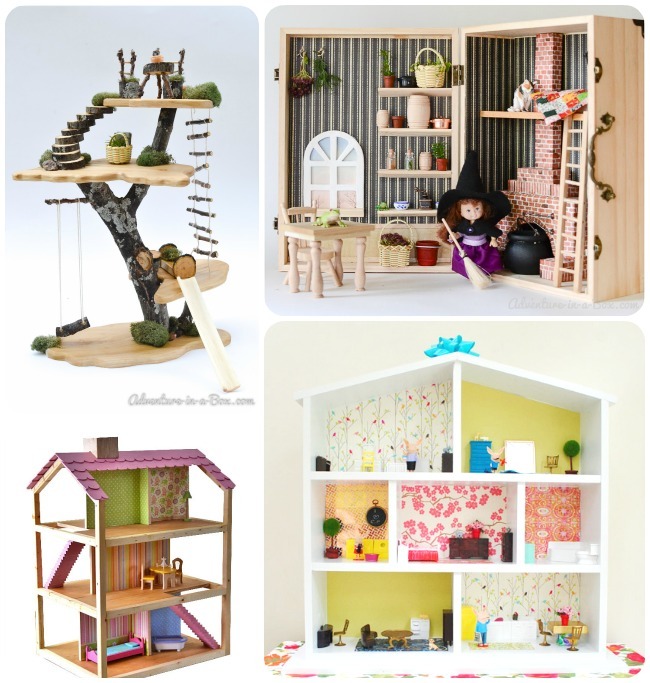 Fairy tree house: One of the easiest doll houses to make is a tree house. Branches from your backyard and a wide board will be the main components. Yet the result is full of whimsical beauty, and will work great in any house where fairies are welcome! House in a box: Another idea for a simple and very portable house. Get a wooden box from a craft store and turn it into a three-roomed doll house with a fireplace! Open doll house by Ana White: Open from all sides, this spacious and minimalist doll house is great for families with several children. Shelf-like doll house by Young House Love: If you have set up any Ikea furniture, you will find this doll house only slightly more taxing to build. The result is sturdy, beautiful and very affordable! Mirror blocks: If you have an old set of blocks, there are so many projects you can make to give them a fresh look! For instance, you can turn them into mirror blocks and let children add reflective surfaces to wooden block constructions, or bounce light beams across the walls. See-through blocks by And Next Come L: Translucent colour blocks remind me of elegant stained-glass windows. When building next to a window, they cast lovely coloured shadows on the floor. 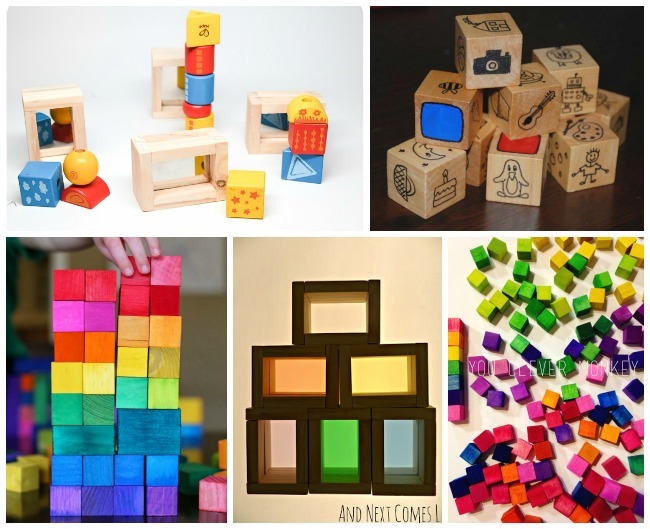 Rainbow blocks by Fun at Home with Kids: If you are looking for a simple way to turn plain wooden blocks into gorgeously stained coloured blocks, this is it! Magnetic blocks by You Clever Monkey: Intricate, colourful collages created with these miniature blocks will be certain not to fall apart! Story cubes by Red Ted Art: Turn wooden blocks into a storytelling game. I love card games and board games, and I am very excited about trying this wooden block game out when my son is a little older. 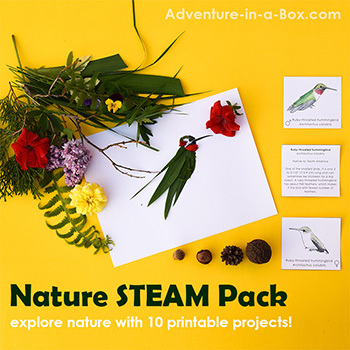 Waldorf-inspired nature blocks: Another project that will not require anything but wooden branches from your back yard. These rustic-looking blocks are great for setting up forest scenes, and we also like to add them to all of our nature-based sensory bins. 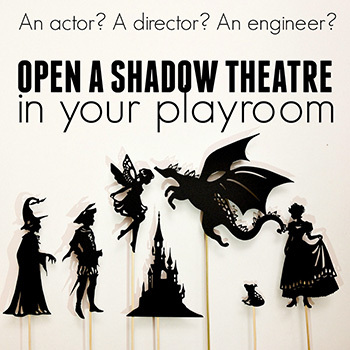 Puppet theatre: First, parents can give performances to their young audience, then children will want to try themselves as puppeteers and create new stories with glove and shadow puppets. This particular theatre comes with a story: it is based on vintage French puppet theatres, and a hundred years ago aristocracy and royalty thought them worthy of their nurseries. Toy kitchen by Young House Love: Little boys and girls like playing at pretend kitchens, and this is a splendid example of how easily an old cabinet can be turned into one. With a tap light, an oven rack, turning knobs and plenty of other little details, it is a wonderful kitchen! Toy boat: Whether in the bath or on the lake, it is a great companion for all the young lovers of ships, pirates and adventures! 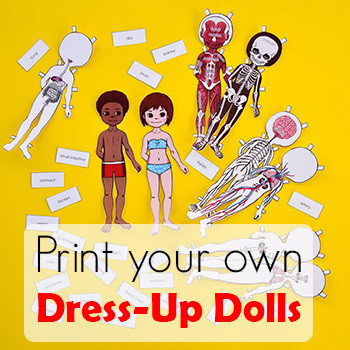 Included you can also find the designs for little sailor peg dolls. Light table by And Next Comes L: Light tables provide such a variety of opportunities for play that I was hesitating as to which category it should go in. Either way, a big homemade light table is a great field for imaginative play and learning! Inspired by this tutorial, I hope to make one for Budster this Christmas. Play tent: It is modelled after an actual viking tent, but it will not have to limit children’s imagination. While we finished this tent in the spring, the majority of it was made for Budster’s birthday last year, and he used it as his reading nook for a while. Rainbow city blocks: Towns once had a way of springing up overnight when the railroads were built – and now they can in your playroom. Wood burned blocks by Alisa Burke: This tutorial demonstrates a very stylish way of decorating wooden houses with a woodburner. I love that you can still touch the actual wood and see its grain and colour! 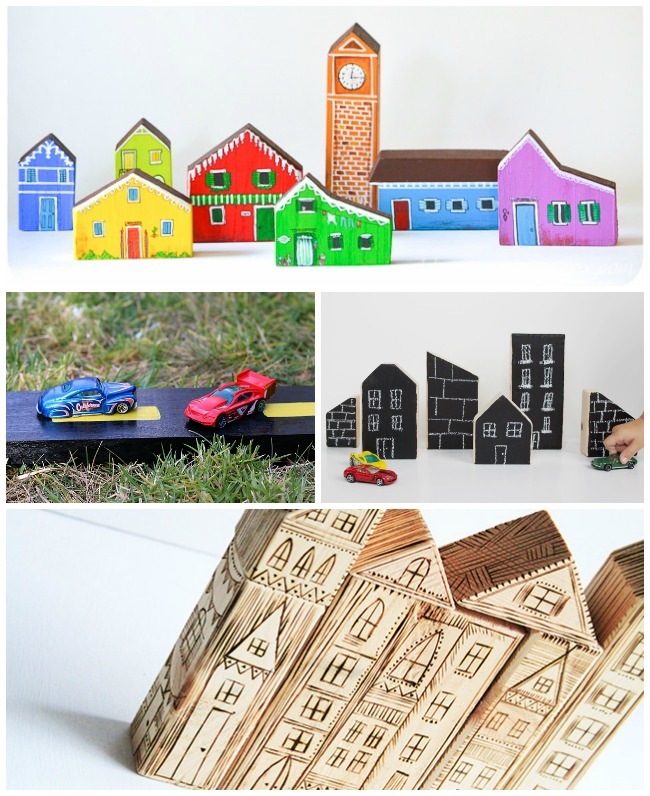 Chalkboard city blocks by Hellobee: Invite children to not just just build but decorate, by covering blocks with chalkboard paint. While creating any structures their play needs, they can practice drawing and writing! Wooden car ramps by Buggy and Buddy: My son is insistent on including cars in every game he plays, and if your children share his enthusiasm for cars, they may be interested in building these wooden car ramps! 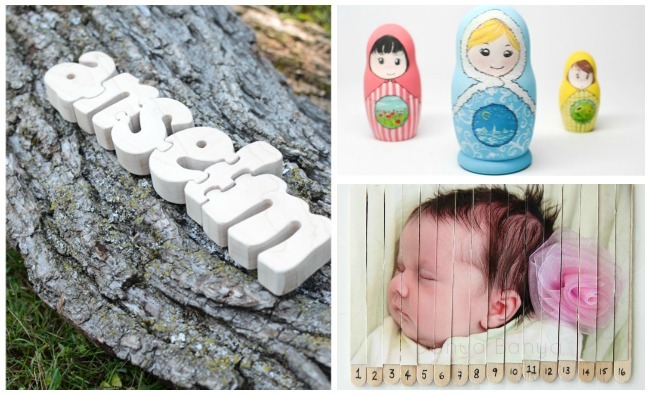 Wooden name puzzle: It is certainly exciting to see your name in a toy, and if it is a rare name, it may only be possible with a handmade toy. Craft sticks personalized photo puzzle by Danya Banya: Imagine, you are making a puzzle, and the final result turns out to be your own photograph… Surprise! Child will love it. Nesting doll puzzles: Nesting dolls provide children with several challenges: sorting halves by size, putting them together and, finally, carefully matching the edges. Personalize the experience by painting your own set! Wooden teethers and rattles: Wood is one of the safest materials for babies to chew on, and so I was never worried when my son gnawed on one of his wooden buddies. Sensory boards by Fun at Home with Kids: Depending on the theme, sensory boards can stay challenging for different ages. Make a fabric texture board or a board with latches and locks – both are engaging and will see a lot of use from little hands! Texture blocks by Fireflies and Mudpies: Texture blocks are a portable alternative to texture boards. Fun to make, and fun to play with! Are you planning any handmade gifts for your children these holiday? Please, share your stories and projects! These are so cute and creative! I just pinned it and will be sharing it on FB! Thank you very much, Renee! I love these ideas! My boys are teenagers now, but I love the fairy tree house and photo puzzle. I teach 7th grade, and I think the story cube idea could work with them in a creative writing game. I love this post so much. 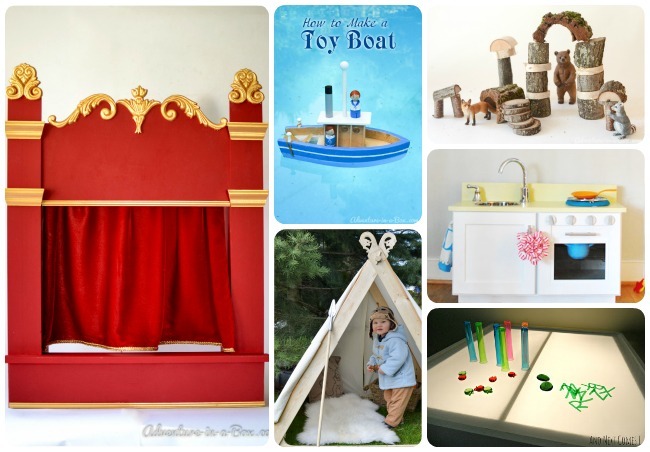 Great list of toys that you can make to get those imaginations roaring. Pinning now to hold on to this! What wonderful ideas. Thank you for sharing! Your fairy tree makes me want to play Robin Hood right now. :) I think that I might try a few city blocks with brights on one side and the chalkboard paint on the other.